The 67 year old pastor nearing retirement at a church in a small rural farming community asked YMI to consult with the church in hopes of hiring a youth minister. They had uncovered some grant money and decided to use it to fund the salary of a youth minister for a few years. The church didn’t have an active youth ministry. There were only two youth attending worship on Sunday mornings. Everyone attending the first consultation at the church was over 75. These elderly people knew they had to do something fast. They couldn’t afford to wait. 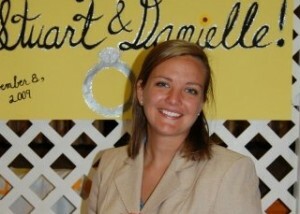 They hired Danielle (Warner) Upton, a 22 year old college graduate, as their first full time youth minister in quite some time. Danielle had also enrolled in seminary (a 90 minute drive for her). In addition the church enrolled her in YMI. Danielle spent only two years at this church. However, her story is worth noting. When she left, the active youth ministry averaged 12 youth. She established relationships with 25-40 youth through events and activities sponsored by the church in the community.